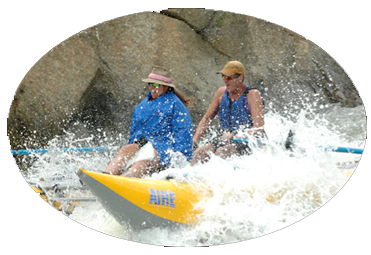 Ron has always had a great respect for nature and enjoys much of his life in the outdoors. In 1976 on an Outward Bound Adventure the rock art Ron would see scattered in the canyons began to hold a special interest for him. 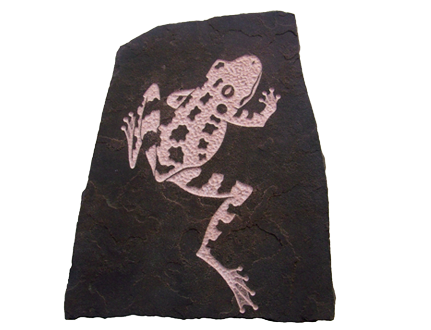 Intrigued by the rock art's beauty and mystery he began to formulate a way for everyone to appreciate this artwork in their own homes without destroying history by removing the carvings from nature. 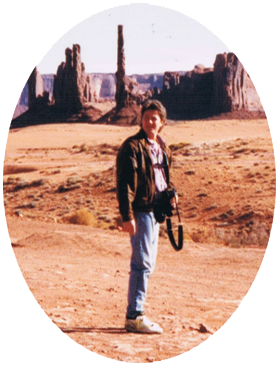 While working as a manager in a door and truss shop he began to collect photographs of the petroglyphs from various regions he visited. He learned as much as he could about the interpretations of the ancient art. Using his drawing skills and his attention to detail Ron began to construct a way he could transfer the images in his photographs onto stone with the same texture and look as if one had just found the carving in a canyon. His dream came to life when he finished his first pieces that had the look and feel of actual petroglyphs. Since 1993 , while working in his studio in Colorado, Ron allows each stone to express to him the true nature of its image. He carefully carves each piece in sandstone that has been put through an aging process to recreate the effects of "desert varnish," the dark wash found in nature. 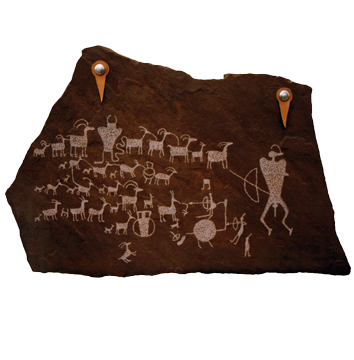 Using all natural material, he creates replicas of some of the most well-known and even the most obscure petroglyphs. Ron began carving wild life in 1995. He uses the same care and attention to detail to create amazing life like designs. His attention to detail becomes more apparent in his large wall panels which are able to take you right outdoors. When not carving and working in his studio Ron enjoys spending his time in the outdoors backpacking, camping and rafting always gaining inspiration for new carvings.